Bryan (1860-1925) was one of the most prominent American orators and politicians. In his study of rhetoric he collected a wide range of speeches given throughout Western history. Public speaking used to be a cornerstone of education. In colleges today, “speech” is often merely an elective. C.S. Lewis relates a funny story about one of his first experiences speaking in a formal setting. The occasion was the annual Encaenia at Oxford University, which commemorated founders and benefactors. Honorary degrees were given and excerpts from prize compositions were recited. After the honorary degrees [one of which was received by Georges Clemenceau], the Professor of Poetry made an ‘oration’ in Latin, chiefly about colleagues who had died during the last year: this was my first experience of spoken Latin and I was pleased to find that I could follow and enjoy it. The performance of us prizemen was of course very small beer after all this. We had been instructed to read for about two minutes each: I had some difficulty in finding a short passage which would be intelligible by itself. I was, of course, nervous: I am also told that I was the first of our little band whom Clemenceau looked at: but as I do not know with what expression he looked, nor whether he speaks English, we must remain in doubt whether this was a compliment or not. I have had a good lesson in modesty from thus seeing my fellow prize men. I was hardly prepared for such a collection of scrubby, beetle-like, bespectacled oddities: only one of them appeared to be a gentleman. Any I spoke to sounded very like fools, perhaps like Goldsmith, they ‘writ like an angel and talked like poor Poll’. 76 It brings home to one how very little I know of Oxford: I am apt to regard my own set, which consists mainly of literary gents, with a smattering of political, musical and philosophical–as being central, normal, and representative. But step out of it, into the athletes on one side or the pale pot hunters**** on the other, and it is a strange planet. The World’s Famous Orations combines a number of separate volumes that run from classical Greece and Rome, on through most of the European nations, including their “colonies” in the Western Hemisphere. President Teddy Roosevelt is the final orator whose words are included. I invite you to sample some of the rich banquet included in this volume. The speeches themselves are fairly short, and these excerpts the more so. Mere teasers. If you perchance become bored, skip to the final passage—Benjamin Franklin provides his fellow Americans a warning that we sadly failed to heed. Socrates (470-399 BC) upon being condemned wittily insults his judges. For the sake of no long space of time, O Athenians, you will incur the character and reproach at the hands of those who wish to defame the city, of having put that wise man, Socrates, to death. For those who wish to defame you will assert that I am wise, though I am not. If, then, you had waited for a short time, this would have happened of its own accord; for observe my age, that it is far advanced in life, and near death. . . . But if, on the other hand, death is a removal from hence to another place, and what is said be true, that all the dead are there, what greater blessing can there be than this, my judges? For if, on arriving at Hades, released from these who pretend to be judges, one shall find those who are true judges, and who are said to judge there. . . . At what price would you not estimate a conference with Orpheus and Musæus, Hesiod and Homer? I indeed should be willing to die often, if this be true. For to me the sojourn there would be admirable, when I should meet with Palamedes, and Ajax son of Telamon, and any other of the ancients who has died by an unjust sentence. The comparing my sufferings with theirs would, I think, be no unpleasing occupation. But the greatest pleasure would be to spend my time in questioning and examining the people there as I have done those here, and discovering who among them is wise, and who fancies himself to be so but is not. Seneca (the Younger, 4 BC-AD 65) before being ordered to commit suicide by Nero, whom he had tutored. This is the fourteenth year, Cæsar, since I was summoned to train you for your high destiny; and the eighth since your advancement to the empire. During the intervening period, you have showered such honors and riches upon me, that nothing is wanting to complete my felicity but the capacity to use them with moderation. . . . But both of us have now filled up our measure— you, of all that the bounty of a prince could confer upon his friend; I, of all that a friend could accept from the bounty of his prince. Every addition can only furnish fresh materials for envy; which, indeed, like all other earthly things, lies prostrate beneath your towering greatness, but weighs heavily on me. I require assistance. Thus, in the same manner as, were I weary and faint with the toils of a warfare or a journey, I should implore indulgence; so in this journey of life, old as I am, and unequal even to the lightest cares, since I am unable longer to sustain the weight of my own riches, I seek protection. Order your own stewards to undertake the direction of my fortune, and to annex it to your own; nor shall I by this plunge myself into poverty, but having surrendered those things by whose splendor I am exposed to the assaults of envy, all the time which is set apart for the care of gardens and villas, I shall apply once more to the cultivation of my mind. And now I come to the great thing which so much troubleth my conscience, more than anything that ever I did or said in my whole life, and that is the setting abroad of a writing contrary to the truth—which now I here renounce and refuse, as things written with my hand contrary to the truth which I thought in my heart, and written for fear of death, and to save my life if it might be—and that is, all such bills and papers which I have written or signed with my hand since my degradation, wherein I have written many things untrue. And forasmuch as my hand hath offended, writing contrary to my heart, therefore my hand shall first be punished; for when I come to the fire, it shall be first burned. Maximilien François Marie Isidore Robespierre (1758-94) denying King Louis was entitled to a trial. Louis was king and the Republic is founded; the great question which occupies you is decided by these words alone. Louis has been dethroned for his crimes; Louis denounced the French people as rebels; to chastise them he has invoked the arms of his brother tyrants. Victory and the people have decided that he was the rebel: hence Louis can not be judged; he is judged already. He is condemned, or the Republic is not absolved. To propose a trial for Louis XVI. in any way whatever is to retrograde toward royal and constitutional despotism; it is a counter-revolutionary idea, for it is putting the revolution itself on trial. Benjamin Franklin (1706-90) warns about the dangers of providing salaries to bureaucrats. I think I see inconveniences in the appointment of salaries [for those in the Executive Branch]; I see none in refusing them, but, on the contrary, great advantages. Sir, there are two passions which have a powerful influence in the affairs of men. These are ambition and avarice—the love of power and the love of money. Separately, each of these has great force in prompting men to action; but, when united in view of the same object, they have, in many minds, the most violent effects. Place before the eyes of such men a post of honor, that shall, at the same time, be a place of profit, and they will move heaven and earth to obtain it. The vast number of such places it is that renders the British government so tempestuous. The struggles for them are the true source of all those factions which are perpetually dividing the nation, distracting its councils, hurrying it sometimes into fruitless and mischievous wars, and often compelling a submission to dishonorable terms of peace. And of what kind are the men that will strive for this profitable preeminence, through all the bustle of cabal, the heat of contention, the infinite mutual abuse of parties, tearing to pieces the best of characters? It will not be the wise and moderate, the lovers of peace and good order, the men fittest for the trust. It will be the bold and the violent, the men of strong passions and indefatigable activity in their selfish pursuits. These will thrust themselves into your government and be your rulers. * You can download a personal copy of the book in a variety of versions here. ** Algernon Sidney (1622-83) fought honorably for the republican cause in the English Civil War. The fact that he opposed the execution of Charles I did not deliver him from the vengeance of the hedonist Charles II. *** Georges Clemenceau (1841-1929) was the French prime minister who helped set the stage for World War II by demanding excessive concessions with Germany during the Versailles peace talks. **** A “pothunter” is someone who hunts game without a concern for rules of sport. Lewis is likely applying it here in the sense of a person who participates in competitions primarily with the goal of accumulating prizes. Which Muse provides your inspiration? Poetry, history, music, dance, epic? I’ve always been fascinated by the Greek & Roman concept of the Muse. While I don’t regard these personifications as true “beings,” they provide wonderful insight into the multifaceted nature of inspiration. The number of Muses—who represented the arts and fields of knowledge—varied in the ancient world. However, nine constituted the final Roman tabulation. Possessing a historical nature, my “matron” Muse would necessarily be Clio (History). Sadly, I’ve learned Muses don’t always fulfill their promises. At my suggestion, my wife agreed to name our puppy Calli, abbreviated from Calliope, the Muse of epic poetry. Unfortunately, at ten months her raucous barking sounds anything but poetic. In his biography, Surprised by Joy: The Shape of My Early Life, C.S. Lewis includes an interesting reference to Muses. It relates to one of their secondary qualities, civility. In the following passage, Lewis had been sent to the Headmaster of his school for review due to “bad work” (i.e. inadequate academic performance). The idea that the tone of conversation between one gentleman and another should be altered by a flogging (any more than by a duel) was ridiculous. His manner was perfect: no familiarity, no hostility, no threadbare humor; mutual respect; decorum. 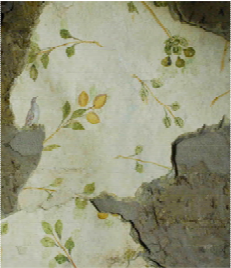 “Never let us live with amousia” was one of his favorite maxims: amousia, the absence of the Muses. And he knew, as Spenser knew, that courtesy was of the Muses. For Lewis’ instructor, the concept of the Muse meant more than simply inspiring some form of art or literature. The influence of the Muses flowed into the broader culture. In a sense, it reflected the distinction the Greeks held between themselves and the barbarians. Surely the uncivilized savages had no Muses of their own! It isn’t uncommon today for people to use muse (lower case) as a shorthand for a person who inspires them. 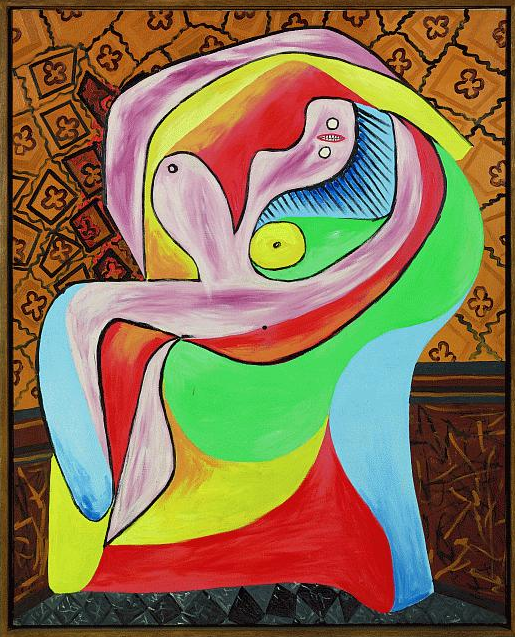 Pablo Picasso, for example, considered his favorite model (and mistress) to be his muse. The portrait of Marie-Thérèse Walter above, entitled “Repose,” surely conveys the profound vision she provided him. Speaking of Christians . . . they too identify a source for their inspiration. In addition to other human beings, who may offer wisdom, insight or encouragement, the preeminent source of inspiration is the Holy Spirit. There is a danger in considering God himself to be the source of one’s inspiration. When taken to an extreme, it results in God being blamed for a lot of maudlin prose and gross violations of grammar. Fortunately, few Christians believe their own writing is infallible. That divine quality is reserved for the Scriptures themselves. Editors at Christian publishing houses would probably argue with my statement that few Christian authors are so presumptuous as to claim God “breathed” into them every word found in their manuscripts. So, who is your Muse? When I said Clio is mine, it is because History—the story of humanity and especially God’s hand in it—fascinates me more intensely than any other subject. For you, it could be music or poetry. Even astronomy has its own Muse, Urania. And, gazing at the boundless heavens God spoke into existence, it is no wonder that many would find their inspiration there. C.S. Lewis wrote a number of poems that are satires of Greek and Roman poetry. Some of them are quite witty. For those interested in reading one such poem, I am pleased to offer “A Cliche Came Out of Its Cage.” In C.S. Lewis: Fantasist, Mythmaker, and Poet, Bruce Edwards describes it as “a sharp attack upon moderns who believe they are heralds of a return to the ‘golden age’ of paganism.” Included in his critique are F.R. Leavis and Bertrand Russell whose philosophy he rejected. To pay where due the glory of their latest theorem. Gleaming with oil, demurely home from the palaestra or the dance. Defending the city in battle is a harmonious thing. You said it. Did you mean it? Oh inordinate liar, stop. Or did you mean another kind of heathenry? Fortified Midgard, lies encircled by the ravening Worm. And every man of decent blood is on the losing side. Made critical comments on its workmanship and aim. Your goddess History (whom your fathers called the strumpet Fortune). You can read about my true Muse here. 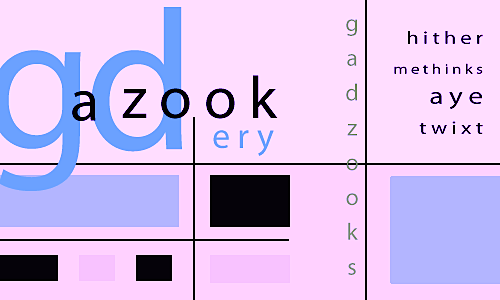 If the word gadzookery sounds a tad, how shall I put it, “goofy” to you, you may prefer using another word that means the same thing: “tushery.” Tushery was coined by Robert Louis Stevenson. Way back in the nineteenth century. Having tested the waters of historical fiction myself, I know this to be far more difficult that it may sound. Both authors also received the Carnegie Medal for their work. When Lewis was awarded his, he received a congratulatory letter from Pauline Baynes, who had illustrated several of his books. He responded quite graciously. Dear Miss Baynes, Very nice to hear from you again, and thanks for sending on the book, which I have returned to Lane. Thanks for your congratulations on the Carnegie, but is it not rather ‘our’ Medal? I’m sure the illustrations were taken into consideration as well as the text. I am well, and as happy as a man can be whose wife is desperately ill.
Beatrix Potter wrote all her gorgeous stories when she was very lonely and not very happy—after she married, she never wrote another thing. Nothing worth reading, anyway. Another similarity between the two was that they both fell under the powerful sway of myth during their childhoods. They used their familiarity with its rich echoes to imbue their own work with themes that flowed far beyond the familiar channels travelled by other writers. Each of them took their readers seriously, and refused to speak down to them. That is why they share one more quality I wish to mention in closing—their high standards. Neither Lewis nor Sutcliff could tolerate poor writing. And their finely tuned skills meant neither ever needed to resort to gadzookery. * Excepting, of course, the Bible itself, which is literature of an entirely different sort. I don’t consider it fair to compare mortal writers, no matter how inspired, to a volume I regard as God’s written word. Did the ancient wax writing tablet of the Romans possess the power to terrorize enemies? Two ancient texts suggest that under some circumstances, carrying these humble wax tablets could cost someone their life. I love history. I love writing. When you combine the two, I’m in a literary paradise. I just read a journal article that took me there. I recently joined a fascinating online organization called Academia.edu, where international scholars freely share their research. It’s like stumbling into a free four-star buffet for the mind. I do not only love words themselves. I’ve long been interested in the physical or mechanical aspects of writing, as well. Along this line, I’ve written here in the past about typewriters and the printing press. I do not recall, however, writing about one of the most fascinating literary devices used by both common and gifted writers for century upon century. 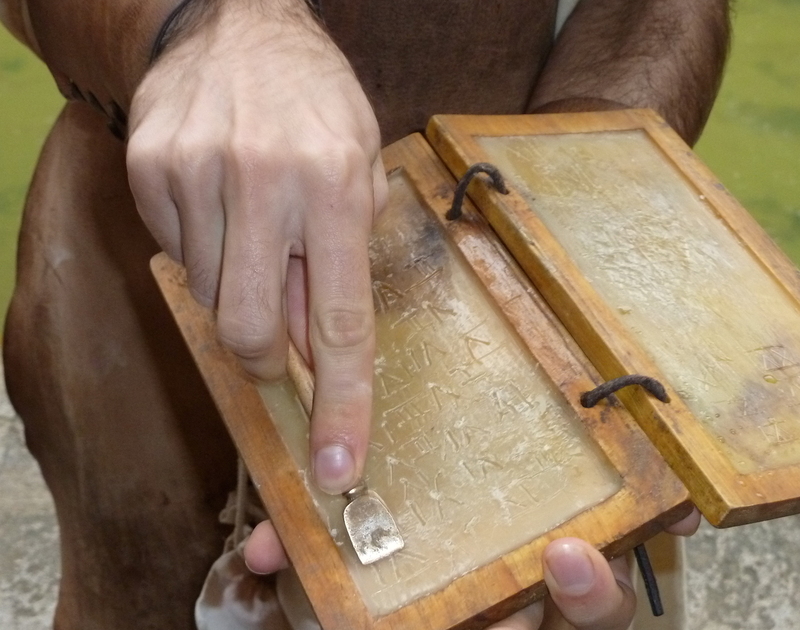 I am referring to the wax tablets of Rome, and the often elaborate styluses used to write on them. I read a captivating article today that related a pair of historical incidents—one ancient, the other medieval—in which modest tablets such as these were mistaken for weapons. Deadly consequences followed. In a Welsh journal entitled Studia Celtica, there appears “Tírechán on St. Patrick’s Writing Tablets,” by David Woods of University College, Cork. Cork is, of course, in Ireland, that enchanted isle from which the sainted C.S. Lewis also sprang. In fact, in a letter written to a child, Lewis once wrote: “I was born in Holy Ireland where there are no snakes because, as you know, St. Patrick sent them all away. The purpose of the article was to explain how writing tablets being carried by Saint Patrick and his party could be mistaken (from a distance) as swords. The author is persuasive in revealing the historic scene and the potential for misunderstanding. 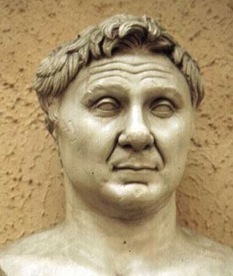 In doing so, he appeals to an ancient incident in which Octavius (who would become Caesar Augustus) unjustly executed a political enemy he suspected had posed a threat. When Quintus Gallius, a praetor, held some folded tablets under his robe as he was paying his respects, Augustus, suspecting that he had a sword concealed there, did not dare to make a search on the spot for fear it should turn out to be something else; but a little later he had Gallius hustled from the tribunal by some centurions and soldiers, tortured him as if he were a slave, and though he made no confession, ordered his execution, first tearing out the man’s eyes with his own hand. The incident with Saint Patrick was not quite so gruesome, although it may have easily turned bloody, if the pagan’s hoping to instigate a bloodbath had succeeded. The big crowd was on the point of doing harm to the holy men; but there was a man among them who felt pity, Hercaith by name, of the race of Nothe, the father of Feradach. He believed in Patrick’s God, and Patrick baptized him and his son Feradach. Fortunately, reason prevailed, and Patrick continued to spread the gospel in the land to which he had originally been carried as a slave. The pen, (the original) Caesar’s weapon of last resort. This delightful article offered a wealth of knowledge. It alerted me to the fact that it is not only wax tablets that are threatening. Those who are wise will exercise extreme caution, whenever they are confronted by any and all writing tools. I was shaped by the heroic religious films of the 1950s and 60s. 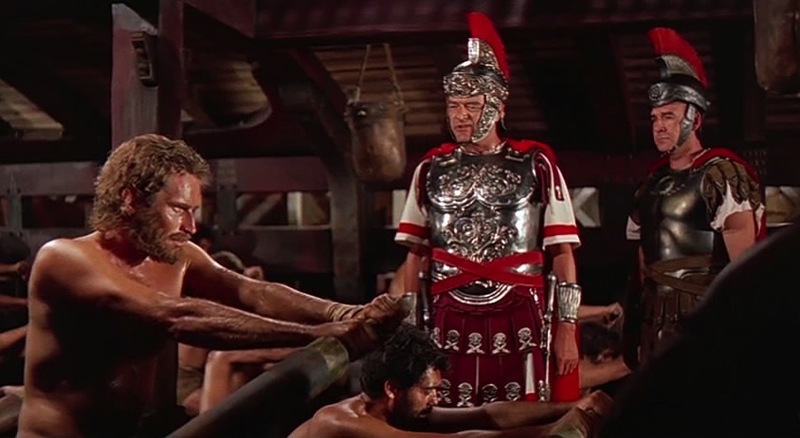 The powerful messages of epic movies like Ben Hur, Quo Vadis and The Robe planted within my young Christian heart an awareness of nobility and radical self-sacrifice. About twenty years ago, I spent a year doing graduate work in education. One of my Educational Psychology classes was taught by a professor who was a devotee of Transactional Analysis. I don’t recall too much about TA, aside from one of its principles that resonated with me. It was only as an adult that I realized just how significant an impression these virtuous stories made on me. I recalled the countless times I lay in bed at night rehearsing the story of The Robe. I was the unbelieving Roman soldier, converted by the gentle witness of the wrongfully persecuted Christians. *** Ultimately, I took my stand with them, defending them and voluntarily laying down my life for Christ. That same plot line still echoes through my mind and soul. I consider myself blessed to have been exposed to such positive influences while my self identity was being shaped. And I pray for children today whose parents allow them to be exposed (at terribly vulnerable ages!) to violent, fearful and morally ambiguous influences. Those precious minds and hearts are scarred by the vulgarity and immorality that are endemic in modern cinema, television and music. May God have mercy on them. C.S. Lewis lived during the era when the virtuous dramas such as those named above were at the peak of their influence. In a diary entry from the mid-1920s, he mentions Quo Vadis in passing. He is describing his weekend schedule. Saturday 22 April: Got up about 6.30 and did the same jobs as yesterday. Was settled to work by 9.5 o’clock and put in an excellent morning . . . Sheila Gonner—jolly child—came to tea. Dorothy is to come back tomorrow: so we shall no longer be servantless. At her request I lent her my crib to Tacitus’ History for her sister Rose— I wonder what makes her imagine that she would like it? Possibly early Christian novels of the Quo Vadis type. Worked again after tea, and from supper till ten o’clock, finishing Herodotus. The last few pages of the IXth Book I now read for the first time, having got tired of it on my first reading . . . I find this diary passage intriguing, in the way that Lewis posits a reader’s potential interest in classical literature as arising from their exposure to ancient Rome via contemporary novels. That’s precisely where my own lifelong fascination with the Roman empire was born. If you’ve never seen these three movies, I commend them to you. I would also encourage you to consider reading one or all of the novels. They are available for free download in various digital formats. * I’m a pastor and historian, not a psychologist, so I don’t pretend to understand all of the implications. Because of that, I don’t endorse TA as a fully valid theory. What’s more, in our fallen world it’s obvious that many early “life scripts” can be based on wounds inflicted on neglected or abused children. In such cases, particularly where the scripts are destructive, we are not “destined” to live out a tragedy. By the grace of God, even the saddest of stories can be redeemed and “rewritten” into tales of hope and wonder. ** From “Script or Scripture?” by Jo Stuthridge in Life Scripts edited by Richard Erskine (Karnac Books, 2010). *** It didn’t hurt that the main Christian disciple in the film was the lovely and chaste Diana, played by the British actress Jean Simmons. But that’s another story, and it’s important to note that these life scripts are pre-pubescent creations, so they are motivated by much deeper impulses than hormones. As the previously footnoted quotation referred to them, they are fundamentally “coping strategies” for survival in the calm (or frequently turbulent) world in which children find themselves. When we moved to Alabama, my wife innocently offended some of her young students by using a slang word that in our family simply meant “stuff,” but apparently is used elsewhere for more vulgar purposes. In a reference to something such as things being in the way, she said the word “crap.” Obviously she was definitely not using it in the Thomas Crapper sense. But some of the Southern kids had never heard it applied in an innocent way, so they naturally assumed she was using it in a crasser sense. She wasn’t. I grew up with the word meaning “junk, stuff or clutter” with the connotation that they were unwelcome, and “in the way.” My sainted mother—from whose lips I do not ever once recall hearing a vulgar word pass—used the word “crap” often. And because the source of the word’s usage was so pure and unadulterated (my mom), I mistakenly assumed I fully understood the word’s meaning. Still, old habits are hard to change, and I find myself occasionally using that very word. And, I must confess, I sometimes even use it as a minor expression of irritation. For example, I just used it in the subject line of an email I sent to some fellow students of ancient Roman history. “Crap, I Just Missed This” was the exact phrase, and the body of the message consisted only of a link to a fascinating conference held in Rome just a few days before I learned about it. C.S. Lewis apparently respected the Roman Empire enough to take the Roman name of an ancient Italian city for the name of fabled “Narnia.” While I’ve yet to find any references in Lewis’ corpus to Roman plumbing, I found this appraisal of a History of Rome which he noted in his diary (16 March 1924). During an extended country walk with two friends, he dined at an inn and browsed through its public library. Well, enough about such matters. We have terribly digressed in a post originally intended to serve as a warning about the dangers of using slang. I guess I am just so disappointed about missing the conference that I needed to vent that here. * One wonders how they were able to adequately address this complex subject in a one-day seminar. 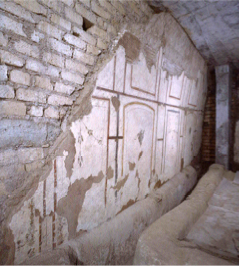 There are many things about ancient Rome that fascinate me. My love for the era finds its roots in the wonderful books of Rosemary Sutcliff and the spectacular cinematic epics like “Ben Hur” that were released during my childhood. 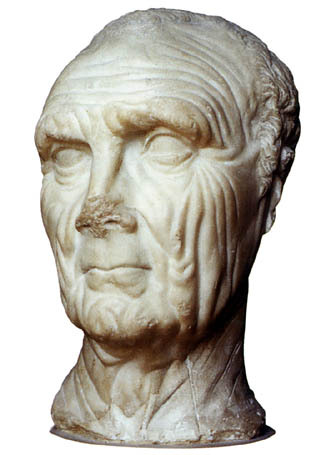 One of my favorite things about the Romans was their realism which manifested itself even in the busts they carved. Unlike the Greeks who strove to idealize everything, the Romans were pragmatic. If the honoree’s face lacked character (or suffered from an excess of the same), then the artist was expected to reflect that fact. Just look at all the character in the face of the unknown Roman portrayed above. Or, how about this one. So vivid. Imagine just how difficult life must have been for this thirty-two year citizen. * Yes, they did an impressively faithful job portraying the subjects of their artistic studies. I’m not naïve enough to think that the emperors’ likenesses weren’t “airbrushed” just a tad. But take a look at the image to the left. It was made of an extremely important person, Pompey the Great, and it’s obviously intended to be a true likeness. This image always reminds me of a troubled chaplain assistant who served with me during my isolated tour in Korea. That sergeant’s tussled coiffure witnessed to a nasty hangover. I cannot attribute Pompey’s unruly mane to the same cause. C.S. Lewis said the first requirement of art is to engage, to connect in some fashion with the interests of the viewer. He wrote this in his essay “Hamlet: The Prince or the Poem,” which he wrote in 1942. To interest is the first duty of art; no other excellence will even begin to compensate for failure in this, and very serious faults will be covered by this, as by charity. If I lined up a dozen beautiful and stylized Grecian busts against one wall and the same number of Roman examples against another, I have no doubt which would merit and receive the greatest attention. Idealized portraiture can be appreciated. But realistic likenesses, that celebrate the uniqueness of each human being, these are truly engaging. 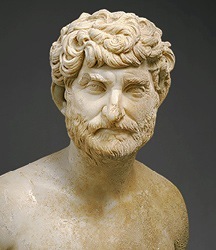 Oh, and in closing let me say that I’m just vain enough—should anyone undertake to create a bust of me—to want it crafted in the Greek style, rather than the Roman . . .
* True age unknown . . . but you already knew that, right?